If you’ve read my profile, you will notice that my early career days were spent in the realm of politics. I worked within the administration of a governor who boldly pursued a number of controversial special sessions within his first two years in office. During that time, I quickly learned the meaning of the age-old expression… “All politics are local”. In essence, how someone truly feels about any particular issue typically hinges on where she/he stands as opposed to what is for the “good-of-the-order” of the whole. When you boil down the concerns and frustrations we all heard over the past couple of week’s regarding Naperville’s IPSD 204 proposed school boundaries, the reality is the true problems were somewhat scattered. As the District 204 school board surmised, there were countless subjectively “perfect” solutions advanced but in the end no possibility of a perfect decision. However, I believe the School Board, in good faith, did the next best thing in upholding their fiduciary responsibility to the taxpayers of District 204. They sliced the district from a number of key vantage points focusing on important considerations and came up with a set of boundaries that mitigated the inevitable pain as much as possible. My heart does go out to the families and children within the District who are facing some degree of discomforting displacement. At the same time, I commend the District 204 School Board for having the courage and conviction to expedite the process and achieving final passage. As a community, now is the time for us to all come back together and as residents, parents and students to work toward making our schools the highest quality schools possible and move past the socially-charged politics of division. Well, today is the big day and the recommendation has finally arrived regarding the new boundaries for Metea Valley High School. The land site for Metea Valley is in the Northwestern corner of the school district and a quick look at any map reveals even in advance that the new boundaries promise to raise plenty of discussion. Regardless of the ultimate outcome, I hope that we can all focus our collective energies as residents, parents and taxpayers on ensuring that all three district 204 high schools are the highest possible quality. As is the case in business, competition is good as it provides a benchmark for comparison. In the case of District 204 high schools, I am in hopes that we not only get a new high school but also a focused comparison that reveals what it will take to ensure all three high schools are on an equal playing field. Even more, I am also hopeful that the ultimate boundary decisions will be embraced and will pump new energy into our schools, especially Waubonsie Valley. I believe all three high schools will ultimately benefit greatly. Okay, when anyone asks any Riverwalk-loving Naperville resident where they should go for tapas, the natural answer is most likely Meson Sabika without hesitation. To their credit, Meson Sabika is a pro-community institution in Naperville and a place where I have gone for dinner, fundraisers and special events a number of times over. However, I tend to believe that Naperville’s dining scene is robust enough to support a variety of tapas restaurant offerings in the same way we have so many sushi bars. Even more, what is a Napervillian to do when they want some inventive tapas without heading over to the formal environs of the stately mansion? The answer to these questions were discovered during a recent lunch outing with my wife during one of our snowier days a couple of weeks ago when we went out on a whim and decided to try Macarena Tapas Naperville, which is elusively tucked away in a small strip mall at 618 South Route 59. Okay, yes, it is in a strip mall but like so many other wonderful little restaurants in Naperville, once you are inside you quickly forget you are in a strip mall. It appears the owners of Macarena Tapas Naperville were heading for a more intimate and slightly trendier atomosphere in contrast to Meson Sabika. The space is artfully decorated in a semi-minimalist fashion with rich dark colors. A long sleek bar lines the right of the restaurant which ends at the kitchen window. Keep in mind, this was a big snow day and we happened to be the only ones in the restaurant, but heck, we received all the attention in terms of wait service. We asked our waiter how business was going and he indicated that while they were still developing their lunch crowd, nights have been pretty crazy. Though our service was very friendly and attentive, I cannot stress enough to restaurant managers, owners, etc. all across Naperville that a little special attention goes a very far way in creating loyal customers. When we arrived, there were a couple of individuals who appeared to either be in the owner or manager category and despite this big chance to make their two newest patrons right at home, they ignored us and shortly thereafter left the restaurant to run an errand. Every new customer who comes through that door is an opportunity and a little interest and special attention can make a tremendous difference as to whether or not the doors are open in six months. Anyway, on to the food. Macarena Tapas Naperville offered a highly affordable lunch menu consisting of either tapas dishes or daily specials, which include soup and dessert for around $10. You could also order from the regular tapas menu which featured familiar mainstays alongside some creative additions. I selected a ribeye steak special which came with a shrimp soup and special tomato roasted potatoes. We also had a salad, a bleu cheese mushroom dish and goat cheese marinara with french bread toast. The soup was hybrid between a broth and cream based soup. Despite a hint of fishy flavor, it was overall a very nice soup. My dish, the ribeye steak and tomato roasted potatoes, was absolutely delightful. Being tapas, the steak was a petite cowboy cut which was slight reminiscent of an asian black pepper beef dish. The flavor was wonderful with plenty of the good stufff which makes ribeye steaks so flavorful. The potatoes were also a nice accompaniment. Overall, I found the special very enjoyable and full of great unexpected flavor. As for dessert, they featured a chocolate chip cheesecake which had been made in-house. It was absolutely decadent and nice rich ending to a wonderful experience. 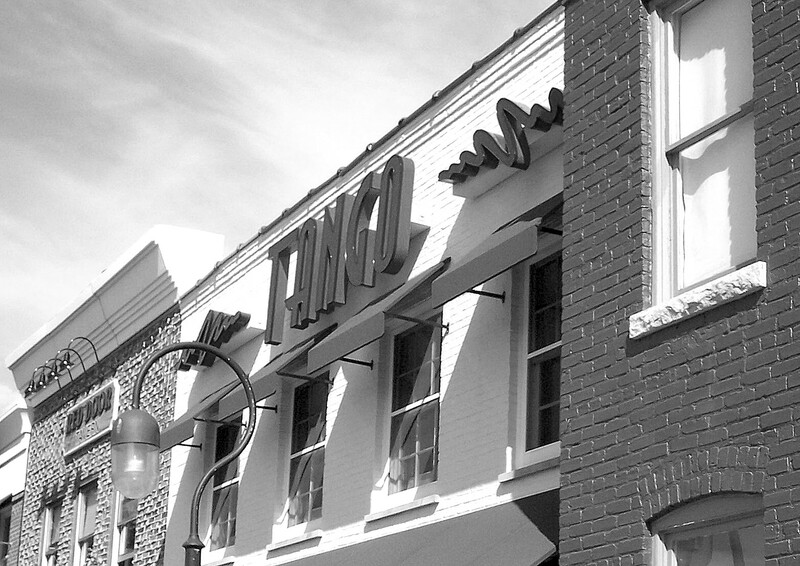 My wife and I both agreed that the food and atmosphere was great and we plan to head back for dinner to try more of their tapas offerings in the near future. With that said, I think Macarena Tapas Naperville has a shot at becoming a wonderful hidden gem for locals to enjoy. The food and space is on mark and if they can focus a little more heavily on winning over their local patrons and making them feel like part of the family, they could have a long future among Naperville food elite. Macarena Tapas Naperville is located at 618 South Route 59 with an entrance just off of North Aurora Blvd. 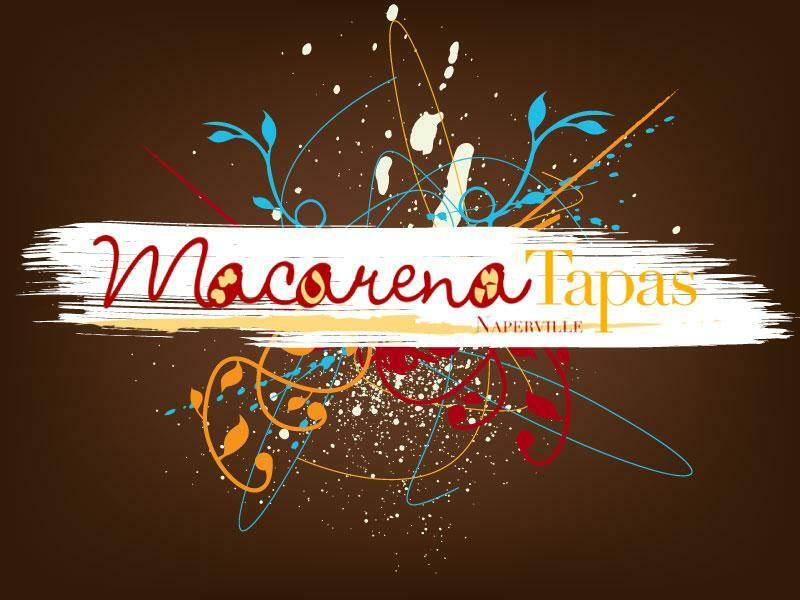 They have a website www.macarenatapas.com which is presently under construction. Even though it’s only February, 2008 has already resulted in a number of unexpected changes in the World of Naperville household and I’m not talking about my experimentation with growing a beard for the first time nor am I alluding to a local installation of my Naperville photography which I’m very excited about. As we all know, the national and local housing market is riddled with problems here in the choppy wake of the sub-prime mortgage collapse. The economy appears to be cruising toward recession and 30 year fixed rate mortgages are once again alluring. These perilous times also create an intriguing time for those venturing into the housing market. A couple of weeks ago, I wrote about an impromptu outing in which my wife and I went to take a look at some of the homes for sale in our price range. We had not contemplated a move in 2008; however, with two rapidly growing boys, a home business and recording/film production project studio within our house it’s no mystery that we need just a little more room. The good news is we have fallen in love with a couple of nicely priced offerings on the market which has given us the opportunity to venture into a number of Naperville subdivisions which we had never visited, mainly in South Naperville and just a bit further west… still in Naperville of course. I will say that we will not be looking at any foreclosure homes as my heart goes out to the many broken dreams which have occurred as a result of the sub-prime fallout. Sometimes the emotion gets the best of home buyers and their dream gets a little bigger than they expected and it’s hard to fault anyone for that especially when the hard lessons are being painfully learned. The bad news is we quickly realized that if we are to take advantage of these market conditions, our house would need to be on the market and heading toward a sale. These days the term “contingent offer” is more likely to generate sustained laughter as oppossed to interest with sellers. Pricing, price range and location is tricky business. Thus, over the past week we have worked feverishly at break-neck speed to prepare our house for this turmultuous market, which means everything has a place, everything is in its place and the “tidying up” is ongoing. Ironically, when we finally finished putting the house in presentable form we loved it so much we almost made an offer to ourselves… not contingent of course. Looking up toward clearer skies and crisp lines along the row of buildings off of Jackson Avenue provides a nice reprieve to the winter storm brewing outside. A nice thought indeed. The restaurants below are the Red Door Tavern and Tango Argentinian Steakhouse.